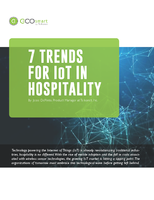 Check out this white paper to see how the IoT can be used in your hotel to reduce energy consumption, increase guest satisfaction, improve maintenance, and more. 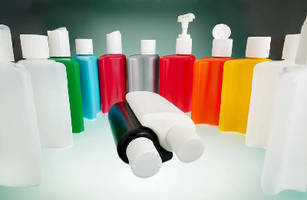 HDPE Bottle offers high impact shelf appeal. 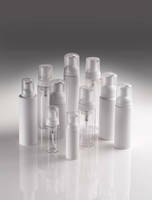 With 2 bottles fitting perfectly together, Yin Yang Bottle is intended for duo products such as shampoo and conditioner. 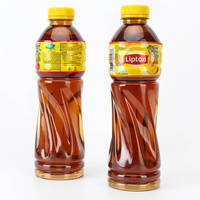 Bottle is manufactured in natural HDPE, in 250 mL size, with colors available to order. Featuring 28 mm R4 neck size, bottle will fit fine ribbed caps, flip caps, disc caps, and lotion pumps. Easy grip shape makes it suitable for wide range of product sectors. 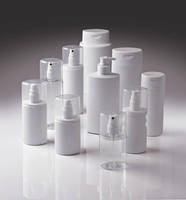 Foamer Bottle comes in 50 ml PET and HDPE/PP versions. Available in PET (4284) and HDPE/PP (5867) versions, 50 ml Tubular Foamer offers volume suitable for specialist products, travel, and sampling. PET (polyethylene terephthalate) version, with 36 mm dia, stands 87 mm tall and has 32 mm neck finish. Brimful volume is 72 ml. Standing 89 mm tall, HDPE/PP (high density polyethylene/polypropylene)Ã‚- version has 34 mm dia and brimful volume of 67 ml. Plastic Bottle incorporates extra grip. Made of HDPE/PP, 150 mL Gripped Duo Bottle enables ease of use through extra grip incorporated into modified design. Bottle featuresÃ‚- 131 mm height, 168 mL brimful volume, and 20/410 neck finish. 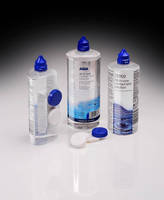 Product is available with range of dispensing options, including spray and serum pumps with complementary PP overcaps and flip-top caps. Are you struggling to find an absorbent that doesn't result in at least some leaching? 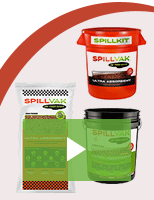 SpillVak outperforms all rock and clay-based materials. Check out our video to learn more. Hot-Fill PET Bottles have panel-less, ribless design. Plastic Bottles provide moisture and oxygen barrier. MD-DropperCap™ Dropper Bottle eliminates the need for insertion technology.